Samsung needs more than a stylus to separate the Note from the Galaxy S9+. We’ve seen the Galaxy S9 now, as well as the bigger and bolder S9+. Samsung once again made a phone that most people wanted them to make, they will sell in the tens of millions and come summer we’ll start hearing about the new Galaxy Note for 2018. 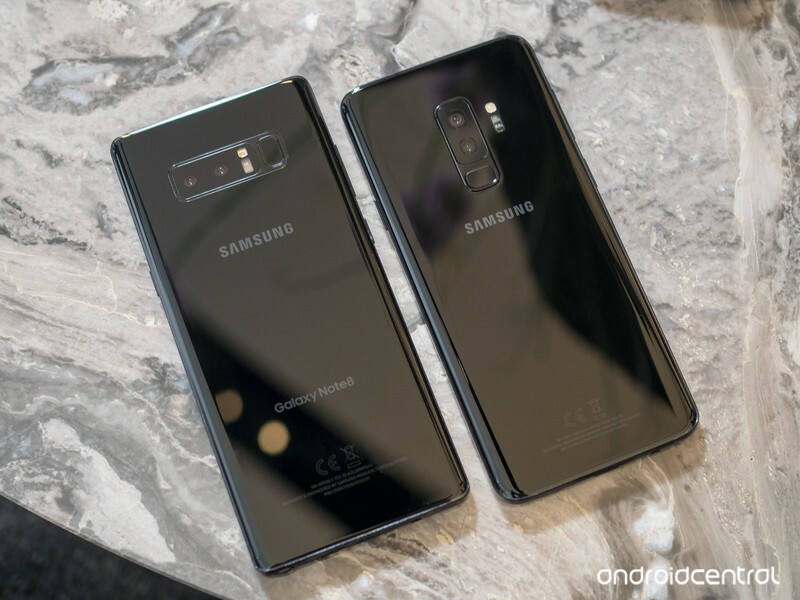 Unless Samsung has some grand ideas for the Note 9 I think this year could see the company selling fewer of them than last year. They’ll still sell plenty, more than enough to make a nice profit. Of this I’m sure. But the Note isn’t Samsung’s mainstream model. The company doesn’t forecast it to sell as well as the Galaxy S because it’s designed for a smaller audience that needs or just wants a little more. And unless the “little more” that people want is a stylus, the Galaxy S9+ already offers it. The Galaxy S9+ offers everything we expect to see in a Galaxy Note, except a stylus. Samsung certainly knows how to change things up. This year, we’ll finally get to see some sort of foldable phone, and of course, it comes from Samsung; no other company can build, market and sell a phone like the Galaxy X. I’m not sure how successful it will be or how many people really want a phone that folds in the middle, but I do know the Note used to be that phone where Samsung takes chances, and now it’s the Galaxy X. At least, we haven’t heard any early rumors that make us think there will be chances taken with the Note in 2018. 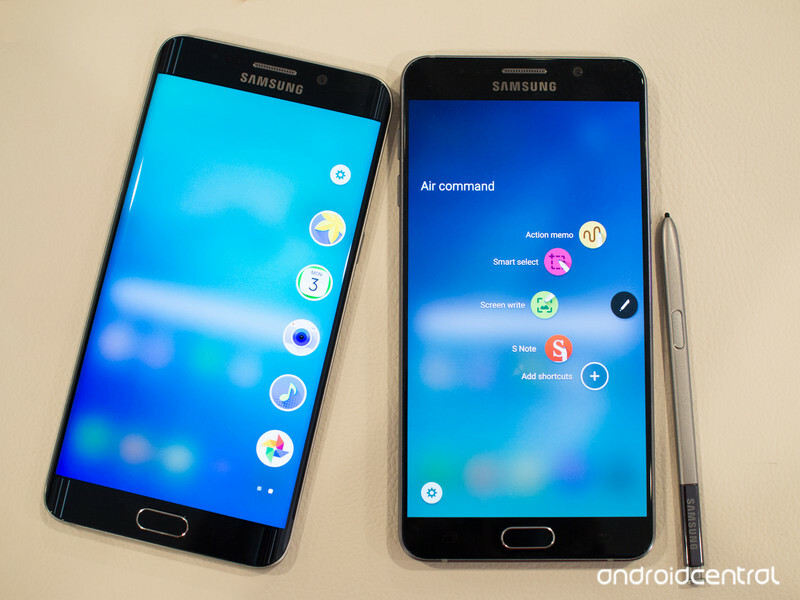 Pictured, Galaxy S6 edge plus and Galaxy Note 5. This isn’t a bad place to be. When a product line is popular enough to have as much overlap with another product, and both still sell well, that’s just more money in the bank each quarter without any extra stress on a product team. And since the Galaxy S6 edge+ showed up in 2015, the two high-end product lines from Samsung have been slowly converging. There’s probably a book to be written here by some management person at Samsung about how to pull it off. I’d read it. But the Galaxy S9+ goes a little further into Note territory than we’ve seen before with its dual camera setup and higher RAM count, and really the only difference between it and a “typical” release from the Note line is a stylus. If any company can make us go “wow” it’s Samsung. I want to go “wow” as much as you do. That has me thinking Samsung has something in store with the Note 9 that makes us go wow again. No, I’m not talking about a fingerprint scanner built into the screen assembly, but something new. There are a lot of things Samsung could try with the Note 9; they could go the premium audio route, or look at some Moto Mods and build extra functionality like a projector into the phone body (it did this before with the Galaxy Beam and it turned out rather well). Or it can do something nobody has thought of before because Samsung’s pretty good at turning an idea from outlandish to mainstreamish. Nobody thought a phone as big as a tablet would sell, especially one with a little stylus in it; we stopped using Palm Pilots years before. Or maybe this is more wishful thinking because I want to see cool new things, just like a lot of you want to see cool new things. We should start hearing serious rumors about the Note 9 shortly, and we can try to sort through them and get an idea of what to expect. Here’s hoping what we expect is something we would have never expected before.